Childish Gambino and Rihanna’s new film Guava Island is premiering tonight (April 11) at Coachella ahead of a widespread release on Saturday, Vanity Fair reports. Earlier this week, YouTube confirmed it will show the film on Coachella’s official livestream over the weekend, and last night Glover himself announced that the movie would also arrive on Amazon Prime as well. According to Vanity Fair, the movie will be Amazon Prime “for free for 18 hours” beginning at 12:01 A.M. PST Saturday (April 13). The movie will also appear on Amazon’s Twitch page later in the day. The film will air on YouTube Saturday at 8 pm. “On Guava Island, a local musician is determined to throw a festival for everyone to enjoy,” is the official description for the hour-long music-heavy film that is rumored to be a “visual album” by Gambino. According to Vanity Fair, the film was inspired by City of God and the Prince movie Purple Rain. Guava Island also stars Letitia Wright and Nonso Anozie. 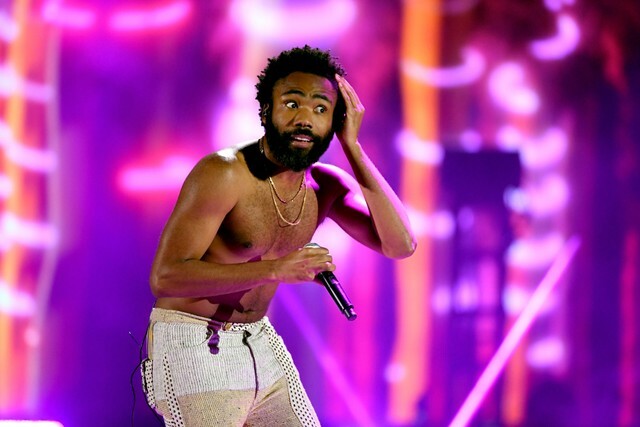 It was shot in Cuba last year and directed by Hiro Murai, who has helmed most of Childish Gambino music videos (including “This Is America”) and much of Glover’s acclaimed TV series Atlanta. Watch a preview of Guava Island and see the Amazon announcement below.